Looking for an Achievable New Year’s Resolution? Start by Switching On Your Brain Every Day!! 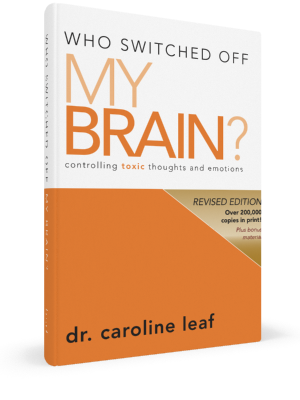 Late in 2013 I requested a book from my reviewer’s program called Switch on Your Brain by Dr. Caroline Leaf. Little did I know what this would lead to, and how it would impact me in so many ways! I have now read almost all of her books, watched most of her DVDs, and shared many of her ideas with my friends and family. All of Dr. Leaf’s products are amazing, but for now I wanted to share three of my favourites with you. 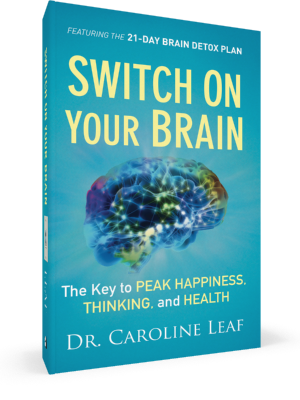 As the first book I read by Dr. Caroline Leaf, I found Switch On Your Brain to be filled with amazing ideas that showcase how science, specifically neuroscience, is catching up with what has been stated in Scripture for so long. One of the main concepts of this book is the research showing that the brain is neuro-plastic, which means it is malleable and adaptable, changing every moment of the day. Through her research, Dr. Leaf shares how she assisted patients with car-accident brain damage take control of retraining their brains and become successful citizens, even after neurologists had written them off as being unable to ever again function normally. The first portion of the book focuses on many of the functions of the brain, how various scientific concepts correspond with Scripture, and what can lead to a healthy or unhealthy brain. The second portion features the steps to detox your brain from toxic thinking, using Dr. Leaf’s specialized program, the 21-Day Brain Detox Plan. Overall, I learned so much from this book even after one reading, and I hope to go through it at a slower pace again soon. This was Dr. Leaf’s first book to be published, and in some ways is similar to Switch On Your Brain. I found that it is written with a simpler approach, however, making it easier to read if you are unfamiliar with her ideas. The main focus of this book is how to promote a healthy lifestyle through your thought life, and how toxic thinking can cause sickness and unhappiness in many ways. Dr. Leaf discusses what she calls the ‘dirty dozen’, areas of our lives often targeted by toxic thinking (emotions, dreams, schedules, etc.) and how to do a ‘brain sweep’ to promote a healthier approach to thinking. In addition, I enjoyed watching the DVDs to go along with the information covered in the book. Overall, this book/DVD set is an excellent introduction to Dr. Leaf’s neuroscience research, without being too difficult to follow, yet giving ideas to start implementing healthy thinking into your life! Without a doubt, The Gift in You program has been the most influential in my family. This amazing set teaches how everyone has their own unique sequence of thinking, made up of seven different areas of the brain: Intrapersonal, Interpersonal, Linguistic, Logical/Mathematical, Kinesthetic, Musical, and Visual/Spatial. 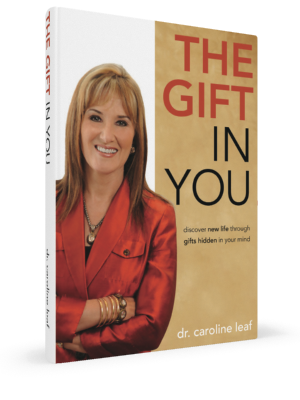 Inside the book is a Gift Profile questionnaire to fill out, which helps you find and understand your unique pattern of thinking – the ‘gift in you’. After you realize what your dominant areas are, you can better understand how you learn and communicate best. Although each person uses a sequence of all seven areas of the brain, usually only the top two dominant areas are obvious, because they are how you receive information, and build connections to that information (the other seven areas deal with confirming, integrating, applying, etc.). For instance, my dominant area of thinking (how I receive information) is Linguistic, which means I learn, communicate, and understand best with words. My second dominant trait is Logical/Mathematical, and so I build connections to the information through reasoning, organizing, planning, and strategizing. The amazing part about this program is how it helps people to understand themselves, and the people around them, in a new and better way. It has helped me and many of my family members to realize how we can use our minds to the best of our abilities. I believe that many people could benefit greatly by reading this book, and watching the DVD set – it has truly changed our lives. If you would like to learn more about Dr. Leaf’s research, programs, and products, you can visit her website. Have you ever considered the deeper truths of this Scripture verse, the portion that states our minds can be renewed, and it is a process that can – and will – transform our lives? If you’ve ever felt trapped by your thought patterns, or held captive by toxic ideas or past traumas, Dr. Caroline Leaf can help you. 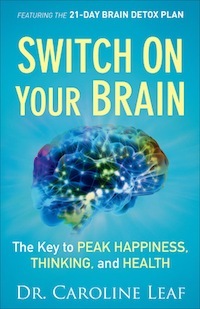 Her newest book, Switch On Your Brain: The Key to Peak Happiness, Thinking, and Health, was published by Baker Books in the fall of 2013. While this book has been called ‘the owner’s manual to how our brains work’, it is also so much more. Drawing from decades of scientific research, as well as her own Christian faith and beliefs, Dr. 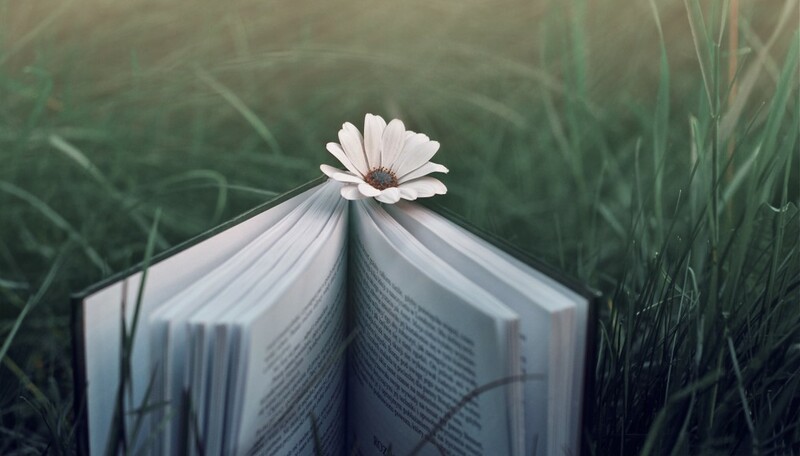 Leaf shares with us in an understandable, scientific language the fundamental functions of the brain. Using these facts as a foundation, she then explains how, with the Holy Spirit and Scripture as our guides, we can transform our minds from toxic to healthy. In essence, we can ‘detox‘ our brains. – In dozens of cases encountered and documented by Dr. Leaf, people of all ages who applied the steps and perseverance necessary to detox their minds excelled beyond all typical expectations. For example, car accident victims deemed by neurologists as ‘vegetables’ managed to retrain their brains enough to complete their education and became successful, contributing citizens. – In the later portions of her book, Dr. Leaf outlines the basis for her 5-Step Switch On Your Brain Learning Process, which is used each day in the 21-Day Brain Detox Plan, also outlined in this book. Available at your favourite bookseller from BakerBooks, a division of Baker Publishing Group”.